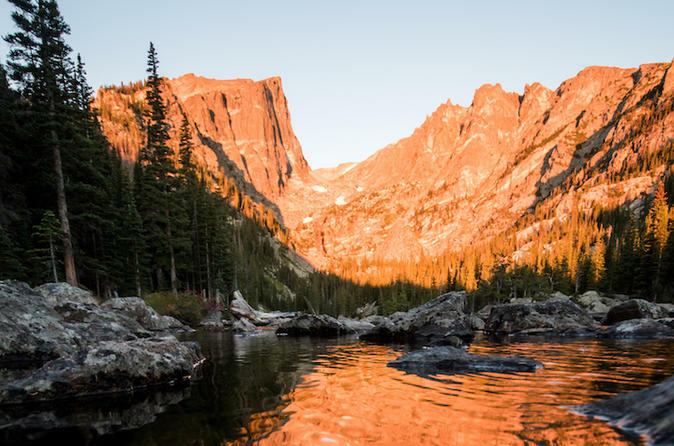 Experience an incredible day journey to Rocky Mountain National Park. See the continental divide, the backbone of North America and the world’s largest mountain barrier. We will take you through historic towns and beautiful landscapes. Explore the great outdoors with many stops to observe the magnificent views, wildlife, and take pictures of the remarkable scenery. First, your adventure will take you to the small mountain town of Estes Park, a popular summer resort and the gateway to the national park. I If you would like we can make a quick stop at the famous Stanley Hotel, a beautiful historic building, famous for its inspiration for the movie “The Shining”. Then you move on to Rocky Mountain National Park which covers a total of 415 square miles. Renowned for its wildlife including elk, deer, moose, black bears, marmots, hawks, eagles and more, incredible alpine and sub-alpine vistas, a stunning array of wildflowers, and 72 peaks above 12,000ft. Winter: Trail Ridge Road is closed from mid October through memorial weekend. This will give you more time to explore the valley floor with its beautiful Alpine Lakes.